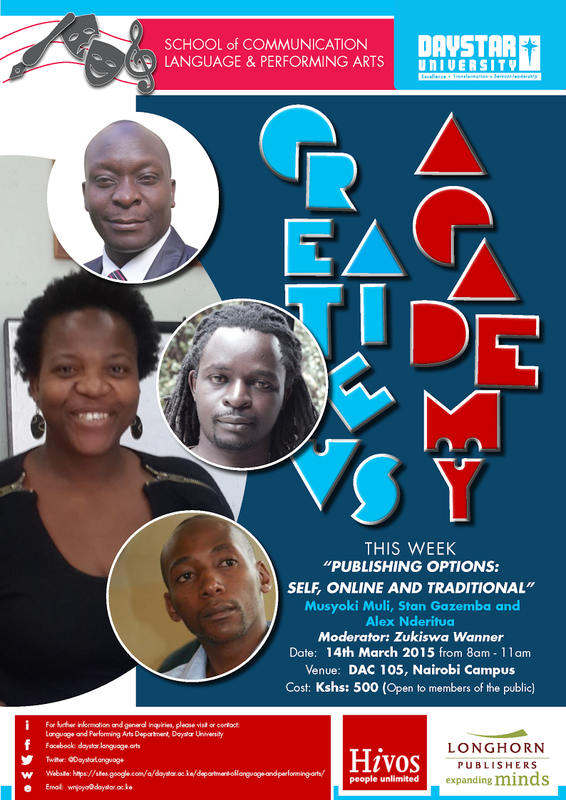 Creatives Academy is the first class I have been to that provides avenues for networking with the moguls in my industry – that of actors, writers, bloggers, poets and media. By the end of an approximate period of twelve weeks, a student rubs shoulders with relevant bigwigs and broadens career prospects. Oyunga Pala himself said to me in one of the classes last year that we, the students, are privileged to have such a rare opportunity to mingle with the greats. And I concur. I was then barely a second year university student and I already had in my wallet contacts from the likes of Terryanne Chebet, Jackson Biko, Chris Lyimo and Muthoni Garland – all household names in my fields of interest. In a world where sciences and business courses are enshrined at the price of the arts, individuals like me, who are more inclined towards the latter, wilt in the shadows of deprivation and prejudice. Creatives Academy offered validation. It was a haven for cohorts, for building associations with kin – aliens cut from the same cloth. It was an instrument for resounding our existence in a country that looks down on our kind, and was a means to gain mentorship, guidance, to celebrate ourselves and our crafts, while spurring each other towards world-changing deeds. There are many lessons that we learned when we hosted the first Creatives Academy last year. One of them was that we gave Marisella Ouma, the Executive Director of Kenya Copyright board, too little time to talk about the rights of artists. When she came last year, we programed the celebration of the finale of the Creatives Academy with her presentation. Maybe we did that because we thought she would just give us a list of the rights of writers. We thought wrong. Dr. Ouma’s presentation was exciting and animated, because she talked more of the spirit, rather than the letter, of intellectual property law. There were some ideas we struggled with. For example, many of us writers do a lot of writing for free for different magazines and publications. We think that we need the platforms so badly, in fact we should be grateful that anyone would want to publish us. To which Dr. Ouma replied: what do you believe your writing is worth? Because if you believe it’s valuable, you’ll charge appropriately for it. A year later, I still don’t how to translate her challenge into practice. I’m still spending a lot of time writing and editing for different publications and getting nothing but a thank you. So if you’re like me, you must attend this Saturday’s session on copyright and protecting your work. On 7th March, we continued our conversations about how our experiences as men and women interact with writing. 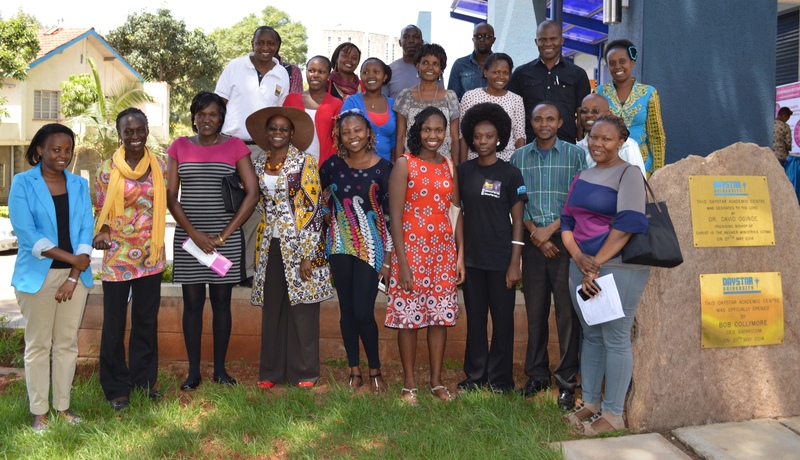 This time we were privileged to have as our guests Doris Mayoli, Sitawa Wafula and Bonnie Kim, writers who have overcome adversity, and have encouraged others by telling their story. A few years ago, I was determined to teach Stan Gazemba’s The Stone Hills of Maragoli in my East African literature class. I could not get the book on the shelves. A colleague of mine, who knew the publisher personally, called the publisher in my presence. I was asked how many copies I needed and they would be delivered. They never were. For a moment we were tempted to use bootleg copies, but (un)fortunately for me, this friend who knew the publisher was also a member of KOPIKEN, so I was given a small lecture on respecting the rights of the writer and publisher. 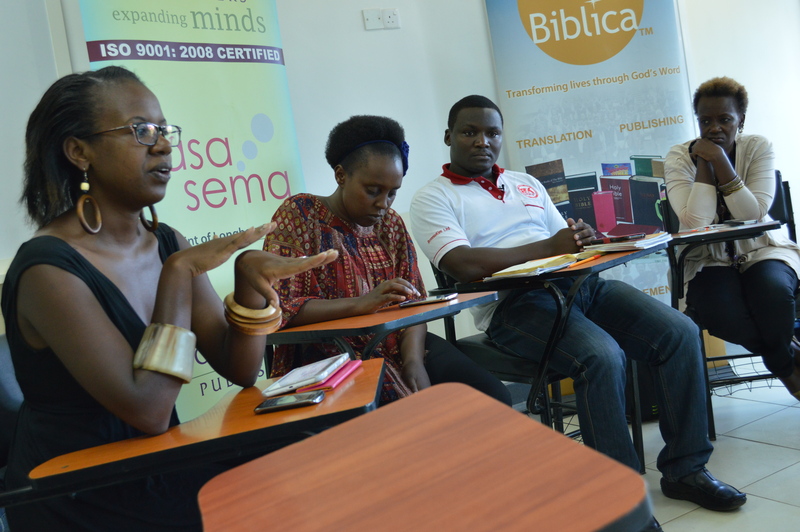 Although the conversation on the Future of men at the Storymoja Festival last year didn’t quite materialize as expected, a number of us felt that this conversation was too important for us to give up on. So we hoped to continue the discussion at the Creatives Academy with the topic “Careers in Writing,” which we held on February 28th. Good people, perhaps talking to young people, there is only one debate we should present as a non-debate and not spend too much time on it. This has everything to do with this issue of the choice of language. Do excuse me if I sound like am speaking Queen’s English, Oxford English, it is a historical construct, I didn’t want to be born this way but what to do. But look at this very insidious thing that is happening, when I speak my mother tongue and the digital clock goes to say, “We thought he was Luo.” Does that mean I should be ashamed? Historically, building into the whole sphere of ethnic dialogue the minute I cease being Luo, and suddenly become Luhya, then all of a sudden, two great mass of Kenyans have gone up a knot. We are heading to the concentration camps people. Beware of this attachment of positing language as a form of identity. As I walk across this room and I look at ‘daktari’ (doctor) and her culture, there is nothing about her aspect, there is nothing about her mode of dress that tells me she is intrinsically…I don’t know what she is intrinsically and I have no desire to know. So beware. The other thing is this idea that there must be an element of craft, not only of storytelling but of craft. For whatever historical reason, you must pervade your craft in the language which you can use with as much certainty, with as much nuance. We have gone from the stage where grandma sat with the pot and said, “How did the zebra get his stripe?” If you are a two year old you say,” The zebra was walking along the bush and then somebody came and scratched him on the back and that is why.” Is that what you want to make your millions from, from whatever press? Surely not. Choose the language which you know best. Once you have chosen a language, you have to work really, really hard at being a master of that language. A lot of our books are written in English, but I am as black as coal, Some of that English is quote and quote, bad incorrect English. So there is another argument to be heard about which language we have mastered. If you reckon Kiprop that Kalenjin is the language which you speak best, abandon English, write your book in Kalenjin, let it be translated into good English. I will do the translation and then all of us can read it. Thank you for voting for us as the best education blog!